Bodegas y Viñedos Lleiroso The main objective of this innovative winery is the elaboration and ageing of elite Lleiroso wines. 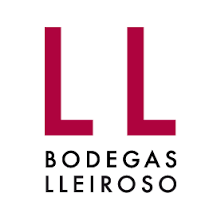 Lleiroso [yay-ROW-so] is an award-winning winery located in Valbuena del Duero, part of the Golden Mile, a region with idyllic conditions for Tempranillo perfection– soil, climate, sunlight hours, elevation and breezes from Duoro River. Wine has been produced in Ribera del Duero region for over 2,000 years, with the wine largely unaffected by international wine preferences. Producers shunned the French style adopted by Rioja that relied on the export market. Alberto Cobo was an educated chemist and pharmacist who fell in love with the beautiful wines of Spain. In 2000 he decided to live out his dream of becoming a winemaker, and gave up everything to buy the amazing property in Ribera del Duero. The winery is named after the Lleiroso River in Asturias, Spain, his childhood home and where his mother’s family still resides. The design and construction, by the highly prestigious architect Elesio Gatón Gómez, is pioneering. When he was given the job to build the cellar, in first place he tried to recall the traditional way for winemaking: slowly, in the absence of light, in a fresh environment during summer and warm during winter, lacking of significant temperature swings and so peaceful that it seemed as if the air were motionless. Then, he considered the possibility of an underground cellar. However, serious problems cropped up quickly: water level was closer to the surface than initially thought, due to the proximity to the Duero River. He finally decided on building a wine ageing facility with the optimal conditions typical of an underground cellar, but at ground level: walls were coated with soil, which works as insulator; the upper area was topped by a pool with sun shades so that preventing water to warm up. The sun shades also contrive to secure a constant draught with their elevation system. At the end, a natural isolation plus the best conditions to ageing wine were completely achieved.